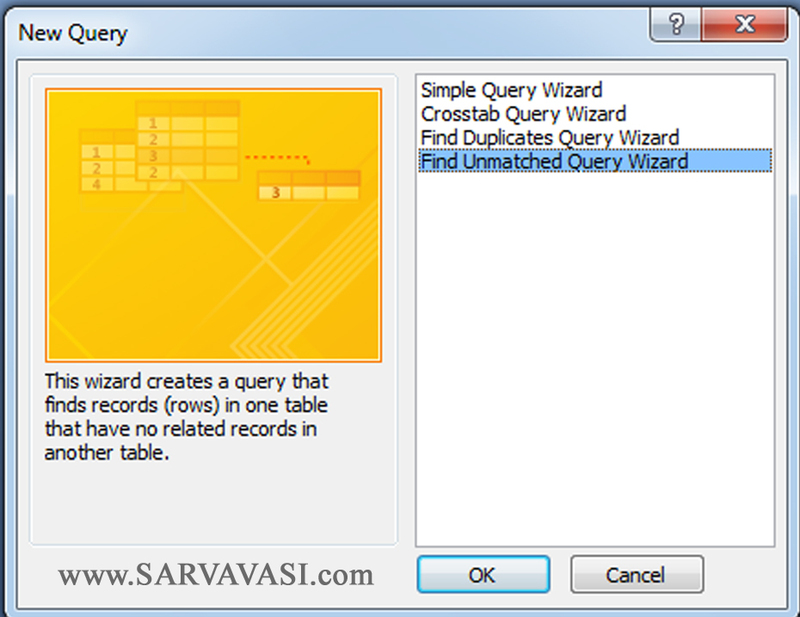 This wizard creates a query that finds records (rows) in one table that have no related Records in another table. 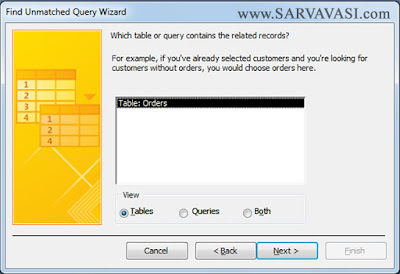 Create Two Table (Customers, Orders) as below format. 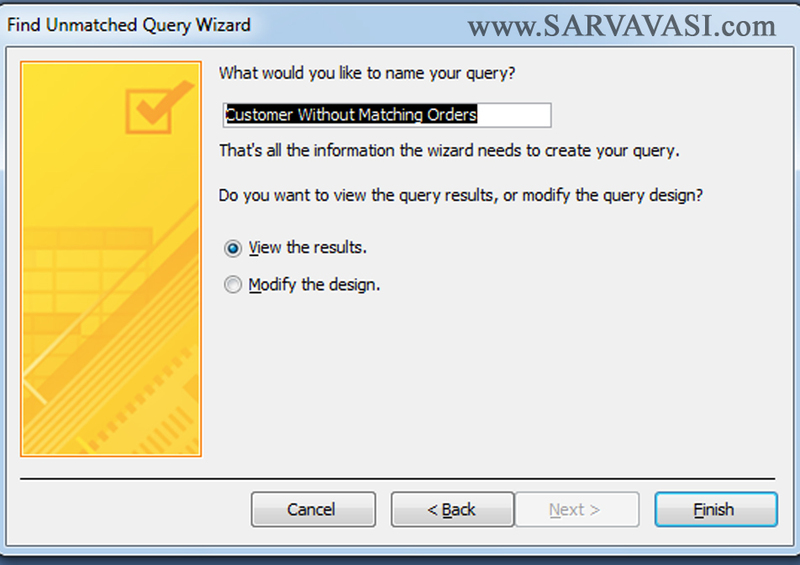 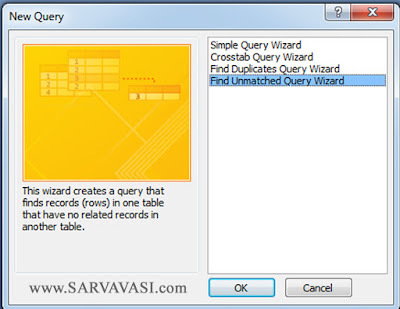 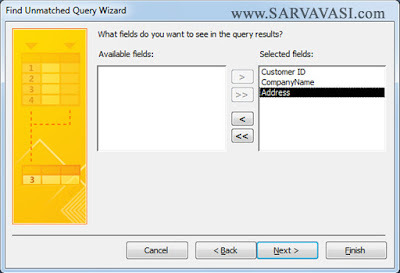 Choose the “Find Unmatched Query Wizard”. 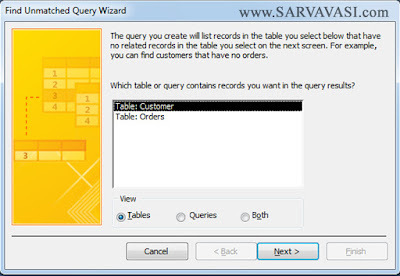 The Query you create will list records in the table you select below that have no related records in the table you select on the next screen.For Example you can find customers that have no orders. Which table or query contains the related records? 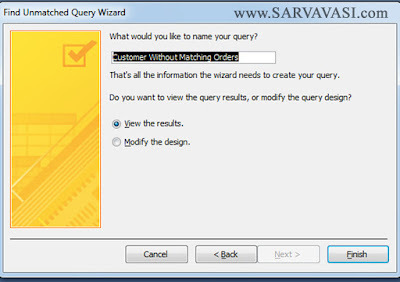 For Example : if you've already selected customers and you're looking for customers without orders, you would choose order here. 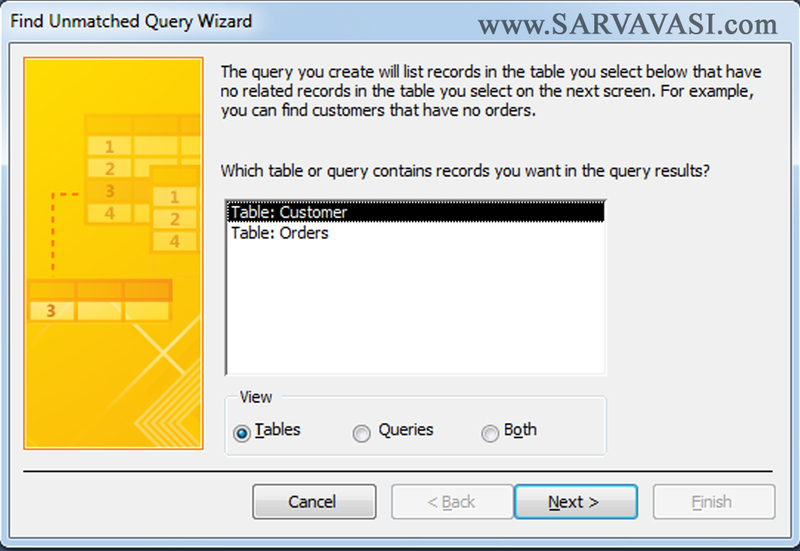 What piece of information is in both tables ? 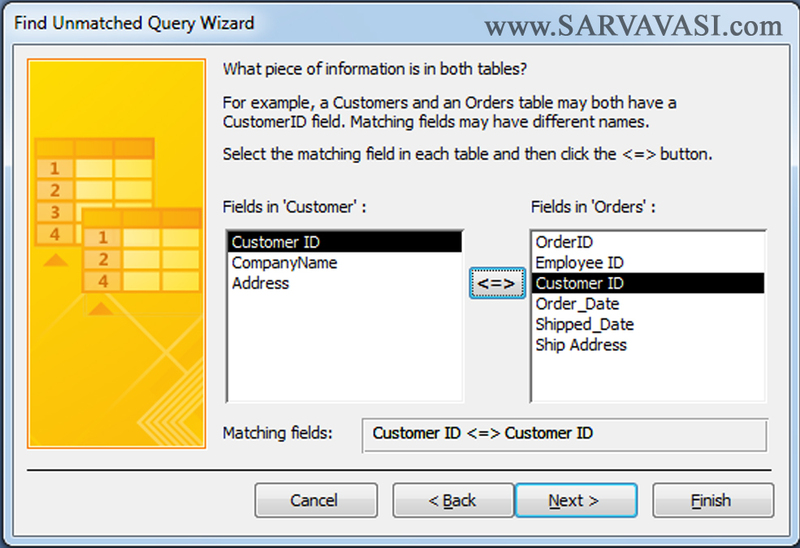 For example : a Customers and an orders table may both have a CustomerID field,Matching fields may have different names. 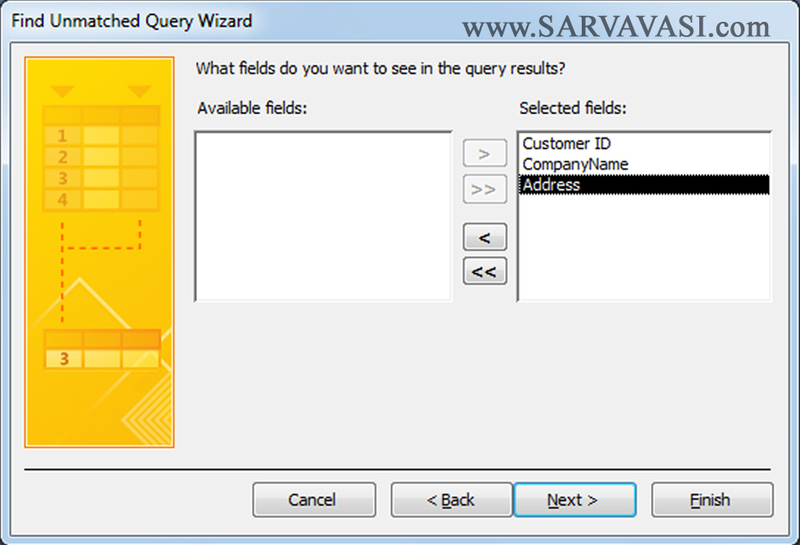 Select the matching fields in each table and then click the <=> button. 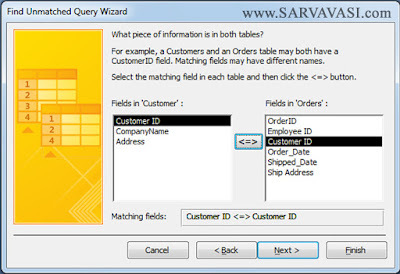 You can choose the Customer Table Field : Customer ID and Order Table Field : Customer ID.